In Wyckoff, New Jersey, in 1953 George was 14 years old, high-spirited, and showing promise as a natural-born leader at Ramsey High School when Mrs. Clapp’s son first gave him a copy of John’s Gospel. Two years later, her prayer for his salvation was answered at a Billy Graham crusade in Madison Square Garden where George received Jesus. The persistent Mrs. Clapp then began praying that George would become a missionary. Little did she realise how soon this seed of faith would take root. George used his position as Student Council president to share his testimony in an assembly and had copies of John’s Gospel distributed in the hallways. About 200 students came to faith that year as a result, and a passion and gift for winning souls had emerged. In college, he learnt that over 70 per cent of Mexico’s people owned not a single portion of Scripture. Appalled by this—considering Mexico’s proximity to the chief missionary-sending nation—and burning with the conviction that “everyone must hear the gospel at least once,” he hatched a plan for his summer holiday. n June 1957, he and classmates Dale Rhoton and Walter Borchard drove from Chicago to Mexico City in a beat-up 1949 Dodge truck filled with Spanish gospels and tracts. Committing to repeat the trip for the next three summers launched Send the Light, a full-fledged literature distribution ministry that included a board of trustees and the establishment of La Vida Abundante (The Abundant Life), the first evangelical Christian bookstore in Mexico City. While in college, George met Drena Knecht, a film department secretary from Moody Radio who shared his heart for missions—so much so that after their simple wedding in January 1960, they skipped their honeymoon and moved straight to Mexico to operate the bookstore together. Any doubt in Drena’s mind that life with George would be an adventure probably vanished on the trip south, when he bartered their wedding cake in exchange for fuel! 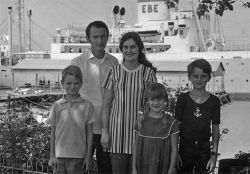 Eight months later, the work in Mexico was well established, prompting the Verwers to plant STL’s ministry in Spain. Under fascist dictator Franco, religious freedom in Spain was restricted; only the Catholic Church could promote religious literature, closing doors to evangelical missionaries. However, when the Catholic Church published its own edition of a Spanish New Testament, George and his team used the Mexican experience to successful open a bookstore in Madrid. Although not overtly a Christian store, Victoria, as it was called, happened to sell mass copies of the Catholic Church’s New Testament—as well as ‘supplemental’ materials that placed emphasis on a personal relationship with Jesus Christ. Blending products this way minimised attention from the authorities and shaped a key part of George’s missional DNA: finding creative paths for the gospel in unsympathetic nations. Later that year, George and team pursued this challenge in another form: The smuggling of gospel tracts into Russia, which at first didn’t go well. After George carelessly tossed a misprinted tract out of a hotel window in Moscow, a pedestrian recognised the literature as forbidden and filed a report, resulting in the team’s KGB interrogation and swift deportation. The effort, however, was not in vain: For George, visiting Russia strengthened his resolve that, in a day of explosive media, technology and travel, everyone in the world could and should hear the gospel at least once! 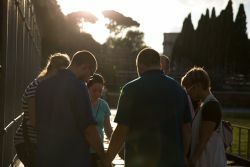 Upon his return from Russia, while in prayer, a vision for how this could be done emerged. 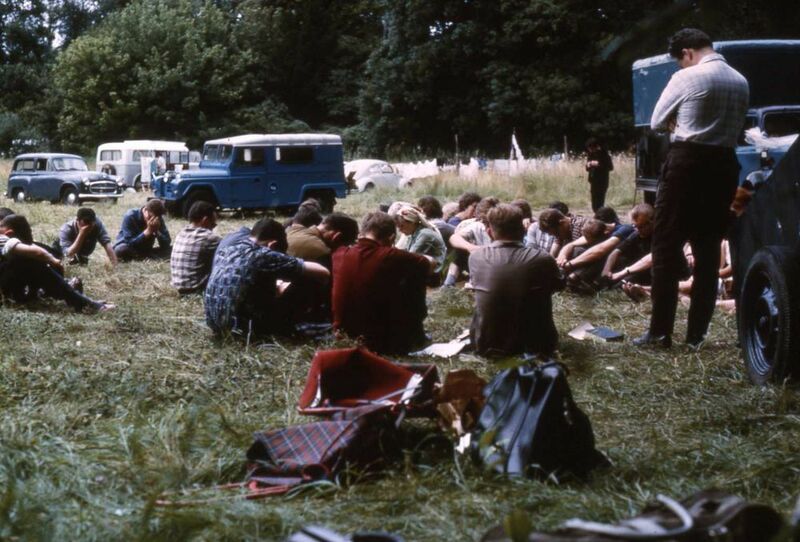 At a rest stop in Europe, George was overlooking the landscape when, in the distance, he saw a group of young people entering a school bus, bringing to mind the words ‘Operation Mobilisation’ and, with it, a novel idea: to acquire a fleet of buses and load them with teams of youth passionate about sharing their faith. And to think it all began with that obscure New Jersey woman, Dorothea Clapp. Through her prayer, the small seed of faith planted in George 60 years ago has flourished into a tree much like the one Jesus described to illustrate God’s kingdom—large and growing, with fruit-bearing branches that make their way throughout the Earth…despite a small beginning. Born and raised on the mission field throughout Latin America, Patrick Wood serves as a writer and content curator for OM USA. He is based in the Atlanta area, and his passions include long-distance running, books, TV, caffeine and eating. Sixty years ago, the world looked different. Presidents and priests had more authority and influence over the general public. Flying was a luxury few could afford. Mission societies were looking for people with a solid education and willingness to spend the rest of their lives on the field. Short-term missionary campaigns were unheard of. In 1960, OM founder George Verwer and his wife, Drena, moved to Madrid, Spain, soon joined by Betty Holt and Jean Davey. 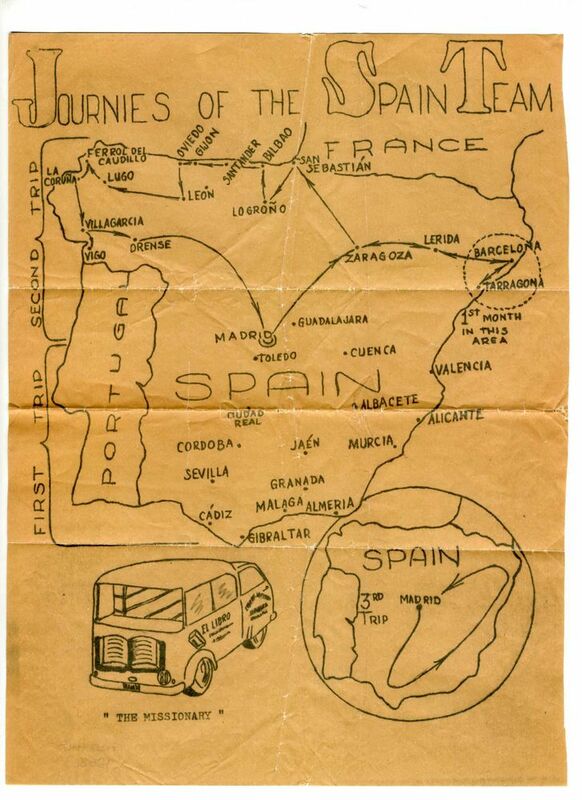 A year later, they were joined by 25 Americans, that together formed three teams working in Spain, France, Netherlands, Germany and Austria with the purpose of recruiting workers for the first-ever summer campaign, organised by Jonathan McRostie, who later became the leader for OM in Europe. They took meetings in local churches on evenings and Sundays, and used the daytime Monday to Friday for door-to-door evangelism with tracts and books. Some young people from local churches joined them on Saturdays for tracting 'blitzes'. 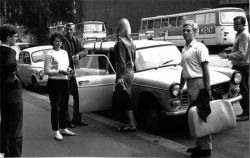 The teams prayed for 200 young people to help reach Europe’s cities during the summer of 1962; God exceeded their expectations by bringing 400 people. Ordinary Christians were invited to take part without any prior training…and the numbers continued to grow. ‘Revolution of Love’ and ‘Forsaking all for Christ’ became watchwords: The message of the gospel had to be proclaimed as widely as possible, even if it meant forsaking comfort, time, money and luxuries. It could mean sleeping on a church floor (or even in a van), working long hours, often with very little money and sometimes scarce food; sharing the gospel was more important than personal needs. Tracts with a gospel message offering a Bible correspondence course were mass distributed. Christian literature and Bibles were sold or given away, the money providing fuel for the van and food for the team. The message was proclaimed through open-air meetings, film evenings, door-to-door visitations and sharing of testimonies one to one. Prayer was of utmost importance; each morning, the team gathered for devotions and Bible study. A set of phrases in the local language was provided, helping foreign team members hold simple conversations. 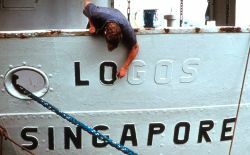 In the following year (1963), summer teams majored on reaching villages throughout Southern Europe, instead of cities as the year before. Almost 2,000 people came from 30 countries (700 from UK alone!) and, over a three-month period, teams worked with 400 local churches and 25 mission organisations. 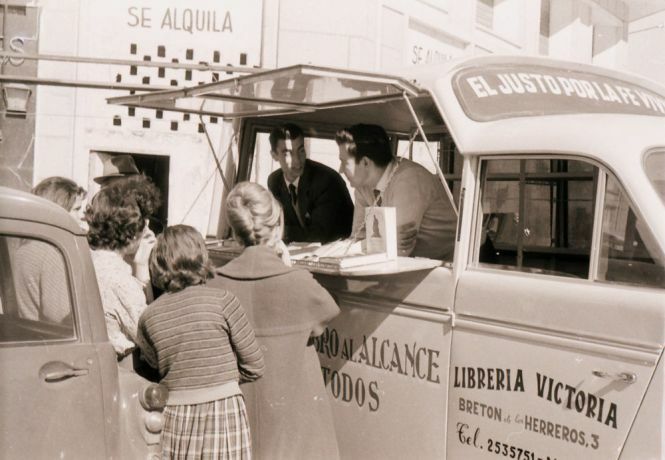 In addition to recruiting participants and the logistics of training conferences and transport, they also faced opposition; in some countries, they frequently experienced arrests or questioning by the police. Betty Holt was the women’s leader in a team that travelled throughout five of the six provinces of Andalucia in southern Spain, which was still very much under the power of the Roman Catholic Church and General Franco. Everybody in Spain was afraid of Protestants yet hungry for the Word of God. “In most villages, we freely distributed gospel leaflets to everybody we met, only to see the priest tear them up later,” remembers Betty. Fear of being arrested gradually disappeared as they discovered that those arrests led to the best opportunities for sharing the gospel—with the police! “This summer in Spain prepared me for work in the Communist World by teaching me to deal with police authorities, and by testing my willingness to go to jail or to suffer for the sake of Jesus Christ,” wrote Betty years later in her book From Chicago to the Ends of the Earth. Summer campaigns continued and teams were sent to an increasing number of countries, including behind the so-called Iron Curtain, smuggling Bibles to secret believers in the Communist Soviet Union. Later, short-term campaigns were also held over Easter and Christmas and today happen all through the year and on all continents. Methods and locations may have changed from the pioneering era, but short-term campaigns are now a major gateway into missions for OM and numerous other organisations. God is still calling ordinary Christians to share the good news and work towards seeing vibrant communities of Jesus followers in all parts of the world. Anne Marit Viljoen, from Norway, joined OM in the early ’80s for three summer campaigns in France and long-term work in administration, hospitality, leadership and communications in Europe and East Asia Pacific. She and her husband reside in Norway, and she currently serves as a member of the OM Europe communications team. After many successful summers, short-term evangelism campaigns established their place as the core ministry of Operation Mobilisation. Rather quickly, OM’s work in countries like Turkey and India grew to continue year round. In the winter of 1963, when George Verwer asked if there would be anyone willing to work with OM for at least a year, a greater commitment to participate arose. 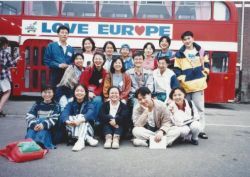 Preparation for the first year teams was organised in Atherton, England, and, after four weeks of intensive training, about 200 OMers headed to Europe, Turkey, Iran, Lebanon, Israel and India. OM’s focus began to shift toward long-term ministry. Since its beginning, OM has provided training based on need. For young OMers, the road to long-term commitment started with reading books and listening to hours of cassettes full of vibrant teaching. Books like Calvary Road by Roy Hession and True Discipleship by William MacDonald quickly became classics alongside early books by George Verwer, such as the Literature Evangelism Manual published in 1963. Asko joined OM for the summer campaign in 1968 and kept coming back every summer until 1972, when he decided to join a year team. “Some people came for summer campaigns and went straight to a training conference for year teams,” he says. Those wanting to join a year team were expected to have taken part in at least one summer campaign before hitting the road towards the unknown. Two to four weeks of training were provided in various locations in England and Belgium, until an old paper factory was transformed into OM’s European headquarters in Zaventem, Belgium. Besides spiritual preparation, teaching and training included skills for everyday life and hands-on work. “We even had internal OM driver’s licences. We had to test if people really could drive and take care of cars and trucks,” Asko says. One feature of the conference was an exhibition of all the countries where people might go, coupled with personal interviews. “When people came to the training conference, they did not know where they would be going next. I was hoping to go to the Near East but, without proper language skills, I was sent to England where our team worked with immigrants,” Asko tells of his first year-team experience. It was all about coming to serve with a disciple’s attitude and trusting in God’s plan. After the interviews, leaders sent people to different year teams depending on their skill sets and needs. Another trust test was finances. “After summer campaigns and buying literature, everyone was basically broke. We were asked to pray until we had the money to travel. Teams could not leave before the money had come in,” Asko explains. Because of this, the conference sometimes lasted a bit longer, but it certainly got people praying and relationships deepened. Still today, OM equips newcomers with the same attitude. Most of the approximately 3,300 long-term OMers have gone through the Global Orientation Conference to ensure they are prepared spiritually and practically. Yet only by actual experience can anyone know what it takes to see vibrant communities of Jesus followers established among the least-reached. Tatu Kekkonen is a journalist and creative artist from Finland. Through everything he does, he wants to keep reflecting the Creator.